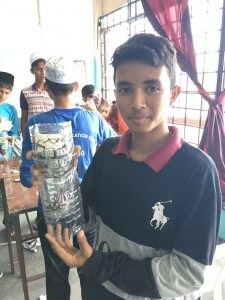 We’re teaching communities how rubbish can improve their lives. Ideally, there would be no rubbish in the world, but the reality is that plastic refuse and waste is everywhere. The aim of Rubbish Science is to teach individuals and communities how, with a bit of basic science they can create something useful. This has a threefold benefit; they get something useful, rubbish is removed from the local landscape and environmental awareness is increased. Rubbish Science empowers people. By helping to develop systematic strategies for problem-solving, they are empowered to deal with real issues that impact their lives. Using these new skills with resources that are freely available to them, young people can improve the quality of their lives and communities. All communities have a culture of innovation, but often lack a systematic and scientific approach to help bring positive change. By collaborating on solving real problems, we aim to empower communities to become stronger which in turn means the most vulnerable children’s quality of life will naturally improve. As scientific literacy is a transferable skill that involves looking for evidence to inform decisions, we focus on simple experiments with real outcomes that usually involve multiple variables. 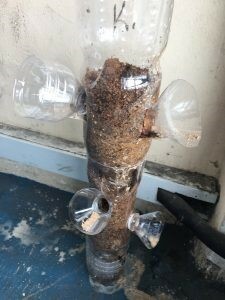 Rubbish Science teaches how to take every day waste like plastic bottles and transform them into food-producing gardens, fly traps and a host of other ingenious products that communities can use to generate income or food. Workshops – Rubbish Science has developed workshops that can be delivered over 1 - 2 days that train people to follow a systematic route to problem solving. A series of activities that include building towers from newspaper to really understand the design process and think scientifically. 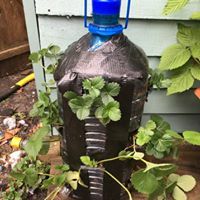 This same process is repeated for other Rubbish Science challenges such as: make a bottle fly trap, build a solar still, create a watering system from plastic bottles, composting, bottle gardens etc. We currently have dozens of core activities and this number continues to grow. Workshops usually deliver about 10 activities most appropriate to the needs of the target community. ‘Train the Trainer Workshops’ are delivered to aid workers, teachers or community leaders empowering them to deliver Rubbish Science lessons in the communities they are working in. Educational Trips - Other potential trainees are students in schools who are going on educational trips to developing nations. Currently many of these trips add little value to the communities they visit. Students paint or build things that the locals can do for themselves. 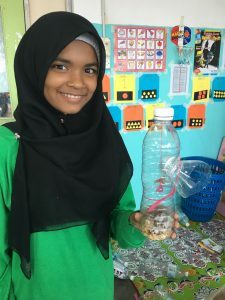 Rubbish Science develops students into science communicators and can have real impacts on the locals by showing real projects that can be transformational. All Operation Orphan requires of those who deliver Rubbish Science workshops, is for them to share details and stories of the training events and any evidence of the impact it has had on the community. Rubbish Science is appealing to donors to help make this training easily accessible to as many young people living in vulnerable communities as possible. 100% of all funds raised for Rubbish Science will be used to deliver workshops as well as cover the cost of keeping orphans identified through the project safe, warm, healthy and learning.